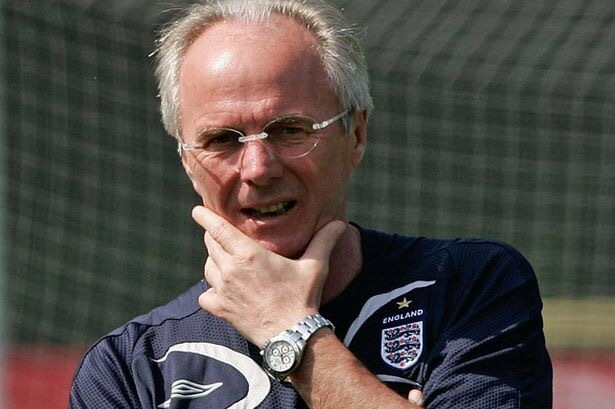 This month marks 15 years since Sven-Göran Eriksson arrived in England to begin his reign as national team manager and a decade since it was announced he would leave after the 2006 World Cup. With that in mind we cast our minds back to six games when all went well for England under Eriksson. Following Sven-Göran Eriksson’s arrival at the start of 2001 – after leaving Lazio earlier than anticipated – England had made a blistering start. Initial misgivings by many over England appointing their first foreign manager had largely eased as they pulled themselves back into contention to qualify for the World Cup. But the real test would be how England fared in their World Cup qualifier against Germany in Munich in September. England had every chance of beating their old nemesis, given the Germans had one of their poorest sides in years. However, Germany had triumphed 1-0 the previous October in the final match at the old Wembley and were in the driving seat in the group. They also boasted a formidable qualifying record, particularly on home soil. Michael Owen and Steven Gerrard celebrate one of England’s five goals. When Carsten Jancker put Germany ahead after just six minutes nobody could have envisaged just what was to follow. Michael Owen drew England level, before Steven Gerrard’s excellent drive put them in front just before the break. Owen scored twice more and Emile Heskey put the seal on the night by making it 5-1 to England. “This is getting better and better and better,” exclaimed BBC commentator John Motson. It would forever be remembered as an incredible night for English football and elevated Eriksson to hero-like status at the time. In his autobiography, he recalled: “I turned to the huge scoreboard. It read: Deutschland-England 1-5. Even I had a hard time believing that.” The following month David Beckham’s free-kick equaliser against Greece took England through to the finals as group winners. Having beaten one old rival in Germany, Eriksson now had the chance to lead England to victory over another when they met Argentina in the group stage of the 2002 World Cup. An uninspiring 1-1 draw with Eriksson’s native Sweden in England’s opening game did not give much cause for optimism, as they now went into a match in Sapporo that they could not afford to lose. Argentina were considered one of the favourites to win the competition, but England hoped to exact revenge for their controversial defeats in 1986 and 1998. David Beckham gives England the lead against Argentina. The decisive moment came shortly before the break, Michael Owen being fouled in the area. Four years after being sent-off against the same opponents, David Beckham stepped up to put England ahead from the spot. “I have rarely heard a noise louder than the cheer after Beckham scored the penalty,” Eriksson would later recall. England nearly doubled their advantage after the break, an excellent team move ending with Teddy Sheringham’s volley being kept out. England duly held firm to achieve a momentous victory that was wildly celebrated by fans in the stadium and back home. A forgettable 0-0 draw with Nigeria was enough to see England through to the last 16, where Denmark stood in their way. The Danes had won their group after defeating World Cup holders France and it appeared a close encounter was in store in Niigata. England would certainly have to play better against the Danes than they had against fellow Scandinavians Sweden in the group stage. Rio Ferdinand celebrates as England take the lead against Denmark. But by half-time it was realistically all over as England led 3-0. Danish goalkeeper Thomas Sørensen fumbled Rio Ferdinand’s effort into his own net in the opening minutes before Michael Owen and Emile Heskey left England well in command. They comfortably saw the game out, England fans for once spared the usual finger-biting tension when watching them in major tournaments. Although England’s performance was not without its faults, a 3-0 win against a fellow European side in the last 16 of the World Cup was no mean feat. With favourites including Argentina and France having already departed, it suddenly appeared a genuine possibility that Eriksson’s side could go all the way – provided they overcame the sizeable obstacle of Brazil in the quarter-finals. The Guardian reporter David Lacey observed that the prospect of England winning the competition “no longer seems as fantastic as Danny Mills beating Harry Potter at quidditch”. Alas they would exit the tournament with a 2-1 defeat, failing to threaten Brazil’s 10 men in the closing stages as the first noticeable doubts were cast by some about Eriksson. England faced a battle with World Cup semi-finalists Turkey to qualify for Euro 2004. Realistically one would win their qualifying group, the other would have to settle for the play-offs. Their head-to-head record was likely to be decisive. England had already been held to a disappointing home draw by Macedonia when they welcomed the Turks to Sunderland’s Stadium of Light. David Beckham celebrates clinching England’s victory over Turkey. Wayne Rooney, 17, started an England match for the first time and he showed he was not overawed by the occasion as he produced a confident display that gave hope to the nation. England had to wait until 15 minutes from time to forge ahead through Darius Vassell, with David Beckham wrapping up the 2-0 win with a penalty shortly before the final whistle. The one disappointment was the conduct of some England followers, which led to negative headlines and the FA turning down tickets for the return game the following October in a bid to avoid further trouble. That night saw England produce a disciplined display in a hostile atmosphere to claim the 0-0 draw they needed to qualify as group winners. It was another high point of the Eriksson years. As we recently recalled, England went into Euro 2004 with a good chance of finally achieving success. They had a good crop of players establishing themselves and no side at the finals looked unbeatable. Although they had lost in the dying seconds to France in their opening game, a 3-0 win over Switzerland left them needing just a draw against Croatia to reach the quarter-finals. 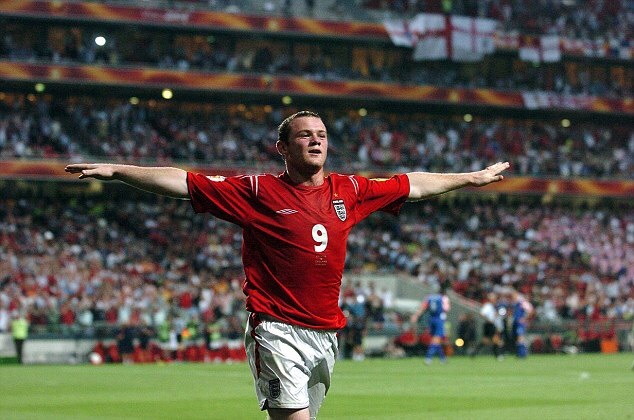 Wayne Rooney scored twice for England against Croatia. Backed by a tremendous support in Lisbon, England enjoyed a high-scoring win to leave the nation believing the long wait for glory could finally be about to end. Four years earlier England had gone out in similar circumstances against Romania when only needing a draw but this time around they would advance with a victory. Despite falling behind to an early goal by Niko Kovač, England led by half-time as Paul Scholes and Wayne Rooney found the net. The teenage star was now coming to international prominence and another well-taken goal after the break effectively sealed England’s progress. Although Igor Tudor reduced the deficit to 3-2, Frank Lampard wrapped up an entertaining 4-2 win for Sven’s men. The quarter-finals saw England lose on penalties to hosts Portugal, as serious question marks began to be raised against Eriksson and his tactics. A few weeks later the ‘Fariagate’ scandal threatened to cost Eriksson his job, but he remained in the role for qualifying for the 2006 World Cup. England friendlies under Eriksson could often be a frustrating experience, multiple substitutions making it hard to read much into the results. But this match against Argentina in neutral Geneva was a notable exception, a rare instance where a friendly was genuinely compelling and fiercely contested. England had qualified with a game to spare for the World Cup but recent results included a 4-1 friendly loss to Denmark and a shock 1-0 defeat against Northern Ireland during World Cup qualifying – the first time England had lost a qualifier under Eriksson. A good result was needed against Argentina to boost morale. Michael Owen scored twice in a dramatic climax against Argentina. Hernan Crespo gave Argentina the lead before Wayne Rooney pulled England level. Walter Samuel restored Argentina’s lead and that looked set to be the winner. But for once in an England friendly Eriksson kept his substitutions to a minimum, while Argentina replaced four key players in the closing stages. One of the few changes Eriksson made was to bring on Peter Crouch with 10 minutes to go and his introduction seemed to galvanise England. With three minutes left Michael Owen headed England level and in the dying moments he repeated the trick to give England a much-celebrated 3-2 victory. Suddenly there was widespread optimism again and Eriksson would lead England into the 2006 World Cup with the nation believing their 40 years of hurt could be about to end. By the time they came along it was long known that Eriksson was on his way after they finished, the final straw coming when he was caught out by the ‘Fake Sheikh’. There was much hype surrounding England going into the competition but they seldom rose above the ordinary en route to the quarter-finals. Once there, Luiz Felipe Scolari got the better of Eriksson for a third successive major tournament as England lost to Portugal on penalties. Erikssons’s England reign tends to divide opinion. There are some who believe his record of steering England to three successive quarter-finals was impressive, particularly given their subsequent failings. However, there are others who feel he squandered a glorious opportunity to achieve success with the Golden Generation at his disposal and that he did not merit his reportedly very high wages – as he failed to even lead the side into a semi-final. Whatever one’s view, it was certainly a memorable era and as we have seen there were some captivating wins to enjoy.